As new, worn not more than 5 times. 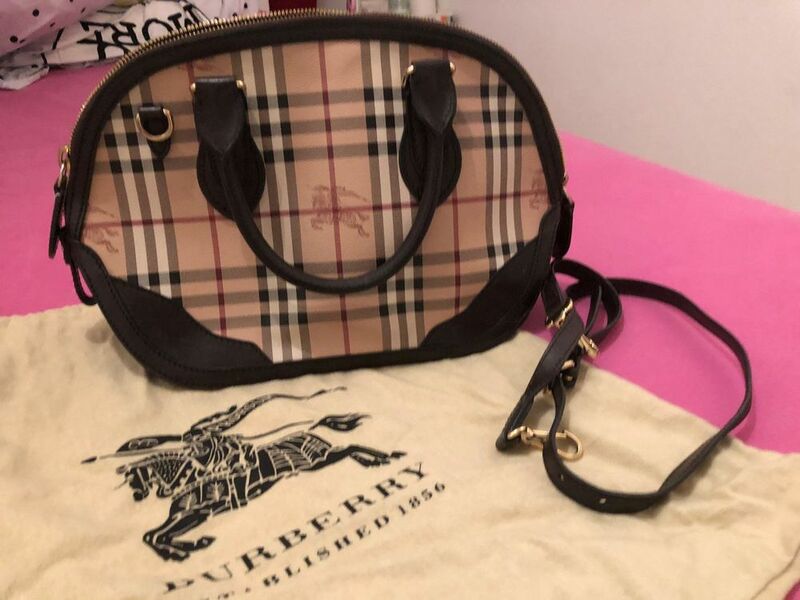 Beige and multicolor Haymarket Check coated canvas Burberry Small Orchard satchel with gold-tone hardware, chocolate leather trim, dual rolled top handles, detachable flat shoulder strap, chocolate canvas lining, three interior wall pockets; one with zip closure and two-way zip closure at top. Includes dust bag. Items sold are not available for exchange and return.